If you’re planning a trip to Antigua or Barbuda, you’ve come to right place for information about these islands. Even though they’re neighbors in the Caribbean Sea, they are quite different, with very distinct personalities. Check out the other tabs to learn more about beaches, museums, and all the many things to do during your stay, and to find out basic information about Antigua and Barbuda. One fateful day in 1684, Sir Christopher Codrington arrived on Antigua. An enterprising man, Codrington had come to Antigua to find out if the island would support the sort of large-scale sugar cultivation that already flourished elsewhere in the Caribbean. His initial efforts proved to be quite successful, and over the next fifty years sugar cultivation on Antigua exploded. By the middle of the 18th century the island was dotted with more than 150 cane-processing windmills—each the focal point of a sizeable plantation. Today almost 100 of these picturesque stone towers remain, although they now serve as houses, bars, restaurants and shops. At Betty’s Hope, Codrington’s original sugar estate, visitors can see a fully-restored sugar mill. Most Antiguans are of African lineage, descendants of slaves brought to the island centuries ago to labor in the sugarcane fields. However, Antigua’s history of habitation extends as far back as two and a half millenia before Christ. The first settlements, dating from about 2400 B.C., were those of the Siboney (an Arawak word meaning “stone-people”), peripatetic Meso-Indians whose beautifully crafted shell and stone tools have been found at dozens of sites around the island. Long after the Siboney had moved on, Antigua was settled by the pastoral, agricultural Arawaks (35-1100 A.D.), who were then displaced by the Caribs—an aggressive people who ranged all over the Caribbean. The earliest European contact with the island was made by Christopher Columbus during his second Caribbean voyage (1493), who sighted the island in passing and named it after Santa Maria la Antigua, the miracle-working saint of Seville. European settlement, however, didn’t occur for over a century, largely because of Antigua’s dearth of fresh water and abundance of determined Carib resistance. Finally, in 1632, a group of Englishmen from St. Kitts established a successful settlement, and in 1684, with Codrington’s arrival, the island entered the sugar era. By the end of the eighteenth century Antigua had become an important strategic port as well as a valuable commercial colony. Known as the “gateway to the Caribbean,” it was situated in a position that offered control over the major sailing routes to and from the region’s rich island colonies. Most of the island’s historical sites, from its many ruined fortifications to the impeccably-restored architecture of English Harbourtown, are reminders of colonial efforts to ensure its safety from invasion. Horatio Nelson arrived in 1784 at the head of the Squadron of the Leeward Islands to develop the British naval facilities at English Harbour and to enforce stringent commercial shipping laws. The first of these two tasks resulted in construction of Nelson’s Dockyard, one of Antigua’s finest physical assets; the second resulted in a rather hostile attitude toward the young captain. Nelson spent almost all of his time in the cramped quarters of his ship, declaring the island to be a “vile place” and a “dreadful hole.” Serving under Nelson at the time was the future King William IV, for whom the altogether more pleasant accommodation of Clarence House was built. It was during William’s reign, in 1834, that Britain abolished slavery in the empire. Alone among the British Caribbean colonies, Antigua instituted immediate full emancipation rather than a four-year ‘apprenticeship,’ or waiting period; today, Antigua’s Carnival festivities commemorate the earliest abolition of slavery in the British Caribbean. Emancipation actually improved the island’s economy, but the sugar industry of the British islands was already beginning to wane. Until the development of tourism in the past few decades, Antiguans struggled for prosperity. The rise of a strong labor movement in the 1940s, under the leadership of V.C. Bird, provided the impetus for independence. In 1967, with Barbuda and the tiny island of Redonda as dependencies, Antigua became an associated state of the Commonwealth, and in 1981 it achieved full independent status. V.C. Bird is now deceased; his son, Lester B. Bird, was elected to succeed him as prime minister. This converted sugar mill, Harmony Hall, is an art gallery, restaurant and hotel centered in Anguilla's art's community. It's situated on the eastern coast at Brown's Bay and is part of the well protected Nonsuch Bay. This old sugar mill estate is the perfect backdrop for enjoying food, wine and art. Patrons also enjoy the breathtaking roof-top views and art exhibits throughout the year. 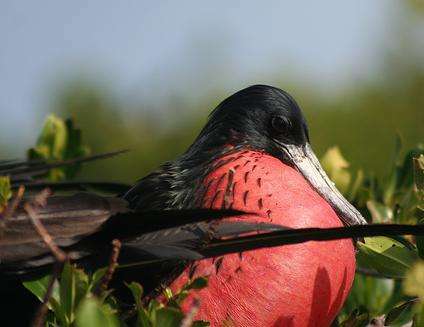 Accessible only by boat, the Frigate Bird sanctuary is located in Codrington Lagoon. This lagoon is home to over 5000 frigate birds with over 170 different species. These waterbirds, also known as the man o' war, have a wingspan of four to five feet, which is the largest in proportion to its body size of any bird in the world. This is one of the most important breeding colonies of the species in the world. The male frigate is marked by its red throat pouch, which inflates during courtship with a female bird or when he's in attack-mode. These birds have few predators and the nesting site is one of the most important in the world for this endangered species of bird. It's best to visit in the mating season from September to April. The chicks hatch late in the year. Carnival in Antigua is an amazing event that runs for about a week and a half during the last week of weekend of July and the first week of August. It is a time when people of all colors and classes get together to celebrate. The Antiguan Carnival is a celebration of music and dance held annually from the end of July to the first Tuesday in August. The most important day is that of the j'ouvert (or juvé), in which brass and steel bands perform for much of the island's population. Barbuda's Carnival, held in June, is known as Caribana. The Antiguan and Barbudan Carnivals replaced the Old Time Christmas Festival in 1957, with hopes of inspiring tourism in Antigua and Barbuda. Some elements of the Christmas Festival remain in the modern Carnival celebrations. It is a ten-day festival of colorful costumes, beauty pageants, talent shows, and especially good music. 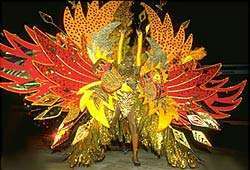 The festivities, which celebrate emancipation, range from the Party Monarch and Calypso Monarch competitions of Calypsonians, the Panorama steel band competition, and the spectacular Parade of Bands to the Miss Antigua Pageant and the Caribbean Queen's Competition. In addition to these major events, the nonstop revelry of this eleven-day carnival includes innumerable smaller festivities, including local concerts, food fairs, parades, and cultural shows. Getting to Antigua and getting around. Our transportation tips will help make your trip smoother. More good sand advice. Passport and return or ongoing ticket required for entry. Citizens of the U.S. and Canada may enter with a return ticket and one of the following: Passport or original Birth Certificate and a photo I.D. in the form of a valid driver's license. V.C. Bird International Airport - less than 5 miles from St. John's. American will soon begin daily service from Miami. The new service complements existing flights to Antigua from San Juan offered by American and American Eagle. Renting a car is an ideal way to discover more of Antigua while on your vacation. In addition to a valid driver's license from your country of residence, or an international driver's license, a permit to drive in Antigua is required. The rental agency can assist you in getting the temporary license. Vacationers don’t just stay in Antigua villas - they come to paradise to get married and celebrate their honeymoons! Complete an application at the Ministry of Legal Affairs in St. John’s. Cost: US$40 registration fee, US$150 special marriage application fee, US$50 for a marriage officer. Documents Required: Passports. Divorce or death certificates, if applicable. Wait Time: No waiting period. Before making their way to Antigua villas, vacationers like to know a little bit of helpful information to make them feel more at home during their stay. Take a look at our travel tips to make your time in villas in Antigua even more relaxing. East Caribbean dollar (XCD). U.S. dollars widely accepted.